Several American denominations ordained female ministers during the 19th century, including the United Church of Christ, the Universalists (who later merged with the Unitarians), and the Cumberland Presbyterian Church. But it wasn’t until the decades following World War II that most Mainline Protestant faiths allowed women to serve as clergy. 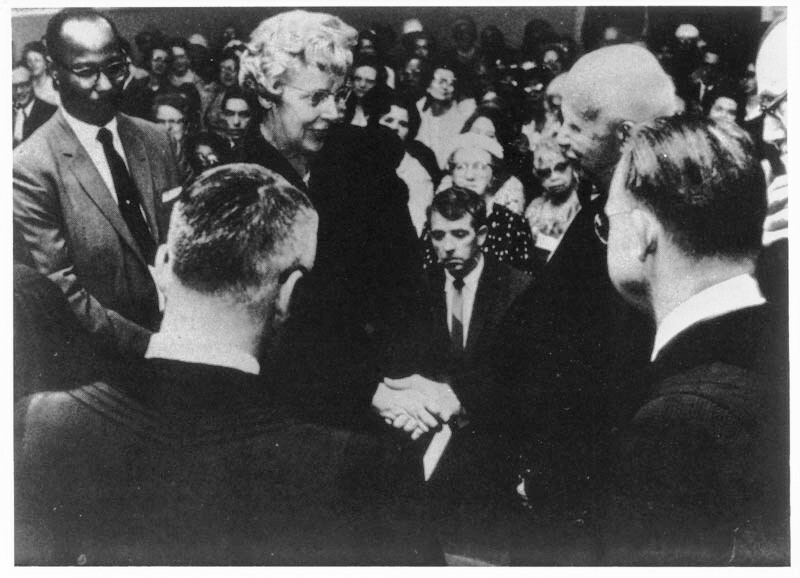 The Presbyterian Church in the U.S.A., also known as the PCUSA or “Northern” church, ordained its first female minister, Margaret Towner , in 1956. This year, we commemorate the 50th anniversary of Rachel Henderlite’s ordination, another important first in the history of Presbyterianism and the women’s movement. In 1965, the year of the Selma marches and the first campus protests against the Vietnam war, Henderlite (1905–1991) was ordained a Minister of Word and Sacrament by the Presbyterian Church in the U.S., also known as the PCUS or “Southern” Church. 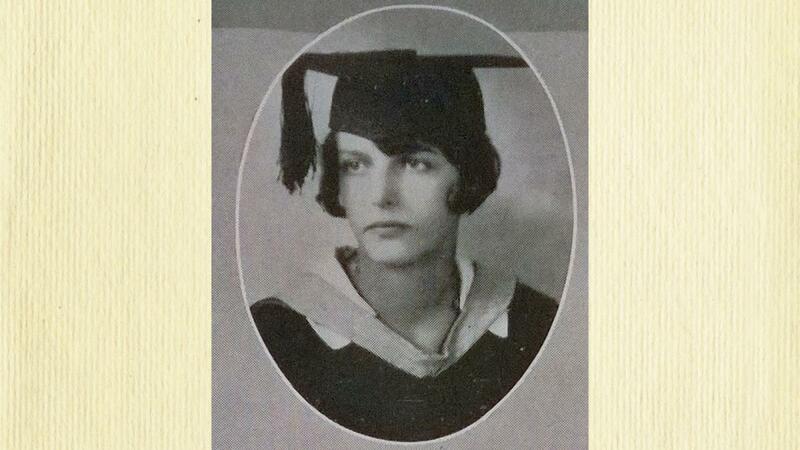 Henderlite's graduation photo, Agnes Scott College Yearbook, 1928. The daughter of a Presbyterian pastor, Henderlite was raised in North Carolina. After graduating from Agnes Scott College in 1928 she went on to become an accomplished theologian, ethicist, and professor, teaching on the faculties of Montreat College, The Presbyterian School of Christian Education, and Austin Presbyterian Theological Seminary. Henderlite supported various social witness causes. She was active in the ecumenical movement, serving as the representative for the North American region in the World Alliance of Reformed Churches and as president for five years of the Consultation on Church Union. In 1963, she was among the thousands who joined Dr. Martin Luther King, Jr. in the March on Washington to support civil and economic rights for African Americans. Henderlite’s 1965 ordination took place at the predominantly black congregation she helped organize, All Souls Presbyterian Church  in Richmond, Virginia. While her admirers were legion, Henderlite had some dyed-in-the-wool detractors. A retired pastor in South Carolina sent her a postcard with the message that the ordination of women “is a grievous sin because it says in the Bible, ‘Let the women keep silent in the churches.’” Henderlite received that same postcard every year until the man died. As I read the Bible, I find that the people of God have long been marked as a “peculiar” people. They have generally been “misfits” in the world. They have usually felt called upon to obey God rather than man, even when this meant opposing the leadership of the land….I believe these demonstrations for the cause of justice have been conducted out of honest conviction and generally as an expression of faith in Christ….I believe Martin Luther King’s demonstrations…have been consistently carried out in ways keeping with the Constitution….I suspect you and I are concerned for the same goals and would differ only with regard to methods….I rejoice that there is room in America and in the Christian church for difference. Henderlite achieved a number of firsts in addition to her historic ordination. She was appointed Professor of Christian Education at Austin Presbyterian Theological Seminary, making her the first woman on the full-time faculty at the seminary. During two decades of service at Richmond’s Presbyterian School of Christian Education (formerly the Training School for Lay Workers), she was instrumental in making PSCE one of the first PCUS theology schools to offer ethics courses. In 1966, she was appointed to the denomination’s standing committee on the Consultation on Church Union  and was later appointed an official PCUS delegate to COCU. She was also the first woman president of that body and remained active within the organization until the early 1980s. In the following sound recording, Henderlite speaks enthusiastically on the subject of the coming reunion of the Southern and Northern church in 1983. Henderlite’s distinguished career and long service earned her numerous recognitions, including the Union Medal, awarded in 1983 by the Union Theological Seminary in New York City—the very school where Margaret Towner received a Bachelor of Divinity degree in 1954. You can find out more about these first women of American Presbyterianism through the Henderlite and Towner papers at PHS. Access restrictions may apply, so please contact us  first if you are planning a visit.